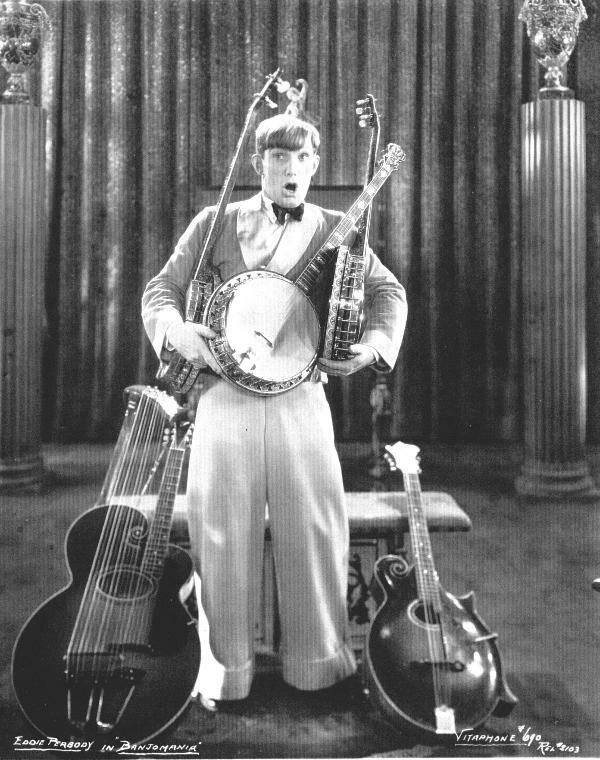 Contributor BC Wallin returns with more Vitaphone Varieties. He suffers through them, so you don't have to. 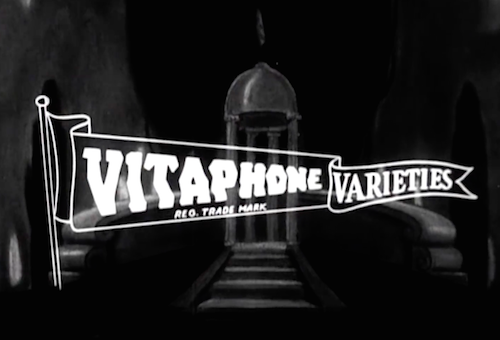 This is the second part of a review of Warner Archive’s three “Vitaphone Varieties” DVD sets and all the shorts reviewed here can be found in the second and third volume of the “Varieties,” totaling around seven hours of content. The first part can be found here. 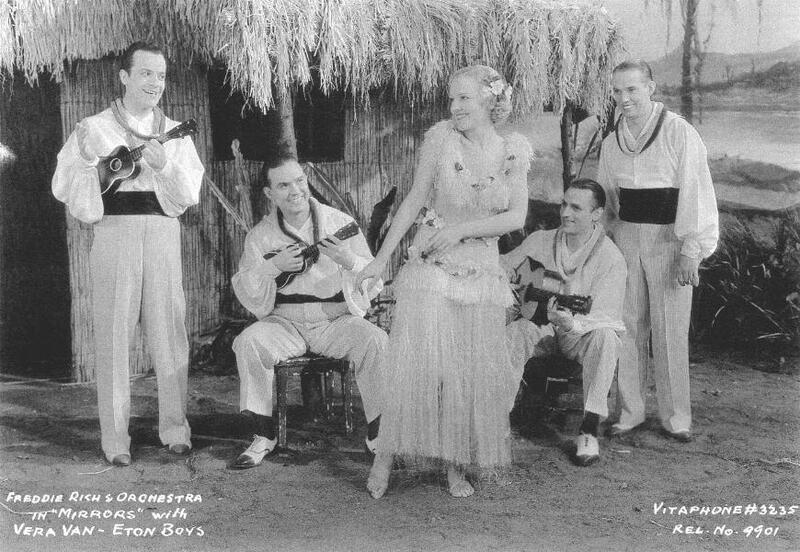 The DVDs fail to provide much historical context for the shorts, and more information on the Vitaphone can be found in the previous review. The next two sets in the series seem to exhibit progress beyond the shorts of the first set. Highly creative silent films had been coming out in theaters for decades when these shorts were originally released, but the constraints of sound recording are evident in the often static appearances of the sets. In volumes two and three, the shorts show more usage of creative angles and visuals, with a slightly stronger freedom of mobility. There is also a small increase in the context provided for the shorts, as some musical performances begin with a setlist for the viewers to see what songs will be played. 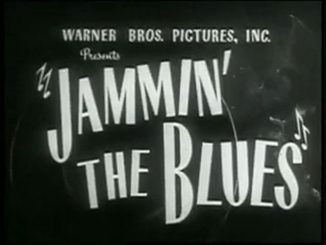 As in the previous review, these shorts have been categorized by type, including a section of “Racist/Sexist/Otherwise-Bigoted Performances.” It feels strange that, even with the lack of contextualization, Warner Archive chose not to leave any recognition of the problematic aspects of the presented history. On a set of Warner-produced Looney Tunes shorts, the company included a nuanced introduction by Whoopie Goldberg that stands as a strong example of the kind of explaining that could have been done. The shorts on these sets are by far not among the best works of cinema that have been preserved from the early days, but they represent attempts at innovation, entertainment, and creativity. Noted below are some of the shorts that stand out the most — for good and for bad — from the 51 “Vitaphone Varieties” on these two sets. As variety acts go, one of the most common performances to be delivered are the musical. On these sets, there are plenty of forgettable orchestras playing in near-identical hotel ballrooms, blending into each other in memory within minutes, but then there are the musical performances that stay with you. “Harlem-Mania” features some pretty solid performances from its band members, but becomes something more so once the focus starts to turn to the drummer, Freddie Crump. 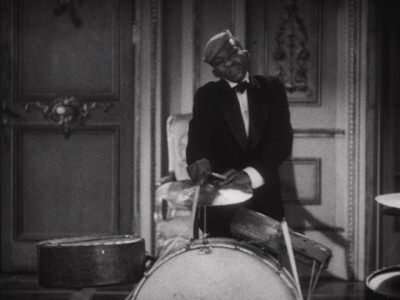 Once the cameras turn on Crump, they can’t look away, as he spins, moves, and drums in his unique, frenetic form. He doesn’t sit still for a second, and his movement is bizarre and enthralling. “Rhythms in Blue” does not have great music, but includes quite an entertaining segment by pianist Peggy Ellis, playing the same piece of music as if performed by different characters — her impression of a girl taking a correspondence course is the best. The first performance of Volume 2, “Hawaiian Nights,” is an absolute joy to watch. Some of the most pleasurable viewing of Vitaphones comes from seeing people having fun, smiling in earnest as they perform for audiences far away. Often, the variety acts are a combination of talents, most prominently being the inclusion of a form of standup or prop comedy in between the pieces of music. “Harmonizing Songs” is notable for Josephine Harmon’s performance. Harmon sings and quips confidently, and though her self-deprecation about the size of her body is a negativity that should not be celebrated, she powerfully takes control away from any would-be criticizers. Harmon commands the screen. Much less enjoyable is the torturous short, “Some Pumpkins.” Summers and Hunt, a comic duo, flirt at each other in unbearably shrill voices, hugging bizarrely and cresting a generally unpleasant short. It is recommended to skip this entry. Not exactly short films to precede feature-length productions, Vitaphone “plays and sketches” still feel static and limited to single stages, hence their categorization. These are less of the jokes and banter of performers so much as they are stories or scenarios. Still, some do include exhibitions of talents and variety skills. 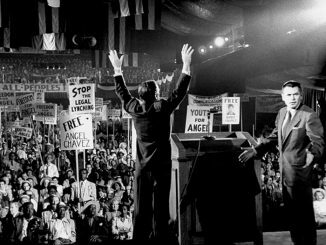 “For Sale” is fairly entertaining, zooming along continuously, from moment to moment, bursting with the energy of salesmanship. Everything from insurance to telephone amplifiers to bulletproof vests are offered, and the short offers some light fun. “Going Places” is wacky fun, as performers Shaw and Lee play off each other with a wonderful synchronicity. 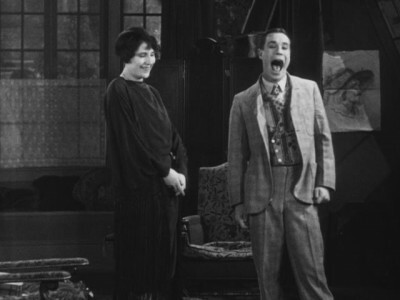 Some of the better comic acts from the Vitaphone selections involve fast talking and quick wit; while the visuals in these shorts may tend to feel constrained to individual locations, the language zooms along. “The Unique Comedian,” as performed by Chaz Chase, is the bad kind of different. Imagine Harpo Marx without his charm or a brother to balance out the viciousness, leaving only a demented, strange, and extremely unpleasant hobo clown in his place. At times the short is revolting, and it is the most hauntingly disturbing of the 16-or-so hours of “Vitaphone Varieties” Warner Archive has released. While Chase’s act represents the worst of the Vitaphones (bigoted performances aside), the miscellaneous talent of Edison and Gregory in “Two College Nuts” represents some of the best the shorts have to offer. In it, the two performers improvise musical instruments out of a tire, a glove, and a saw. It’s weird, but it’s just that right type of weird, where humor can reach out from the past and the warped sound of a saw affecting a violin bow’s stroke can entertain, impress, or surprise viewers nearly a century later. 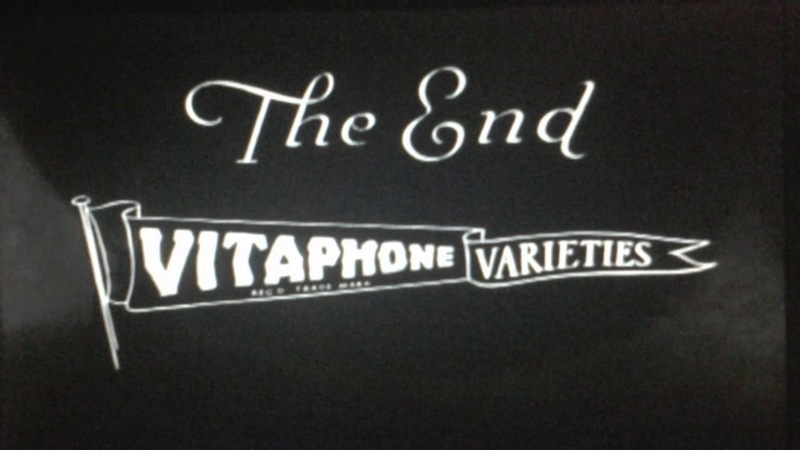 There are many issues with the “Vitaphone Varieties” sets, and I make no secret of my disdain for them. The DVDs could have done with some significant editorial oversight, so viewers would not be left to their own wits when it comes to understanding these shorts’ place in cinematic history. Special features would have been appreciated, especially when considering the passion of those involved with organizations like The Vitaphone Project, which aims to preserve these early shorts — when somebody’s passionate about a topic, you want to hear them speak about it. The shorts themselves are limited technically and can feel repetitive and dull to no end, especially when they are seen one after another and another. 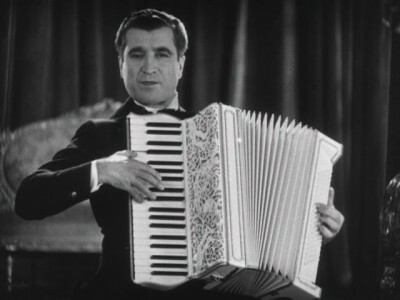 The DVD discs are illustrated with numbers as on the Vitaphone recordings of old, where projectionists could mark how many times a reel had been played. I do not expect to tick off more than one box, but maybe one day, I’ll return to a couple of the old favorites, so I can hear Freddie Crump drum, or Josephine Harmon assert herself. 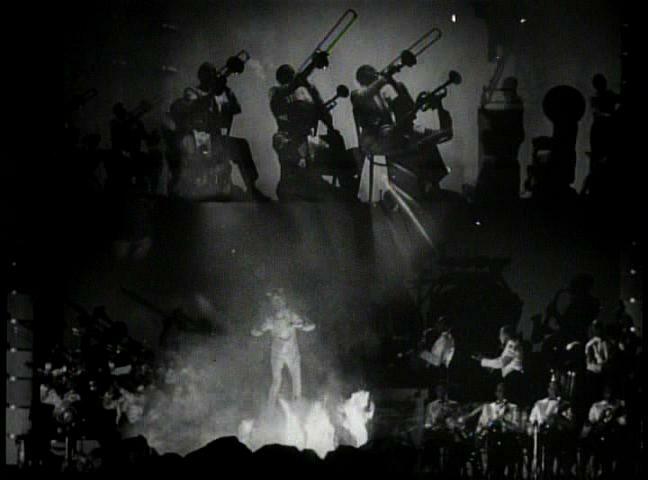 I might return to the first set with its performances by Born and Laurence or the very first Vitaphone short I saw, with The Revelers joyfully singing along. 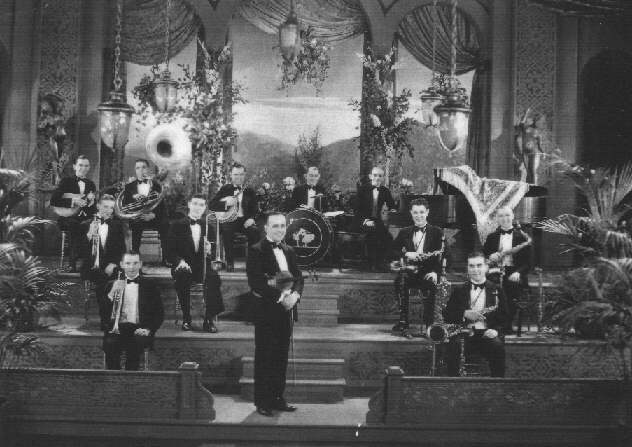 For the era’s enthusiasts who know what they are looking for and just want the most amount of shorts possible, the “Vitaphone Varieties” sets are just the ticket. It is a historical document; a preserved collection of stuff from the past, mostly unexplained. The gems are there to be found, as long as there is a willingness to do a lot of sifting.